Get efficient, economical grit washing at smaller plants with no washwater requirements. The GritCup® is a compact, unpowered grit washing system with no moving parts that delivers clean grit ready for dewatering by a SpiraSnail® dewatering system, effectively separating and classifying 95% of all particles 106 micron and larger and 75% of 75-106 micron particles. The GritCup® is typically used to wash grit collected by primary grit removal systems such as a HeadCell® or Grit King®, and is ideal for smaller plants. The GritCup® is an efficient and economical all-hydraulic grit washing and classification device, which produces clean grit ready for dewatering by a SpiraSnail® dewatering system. 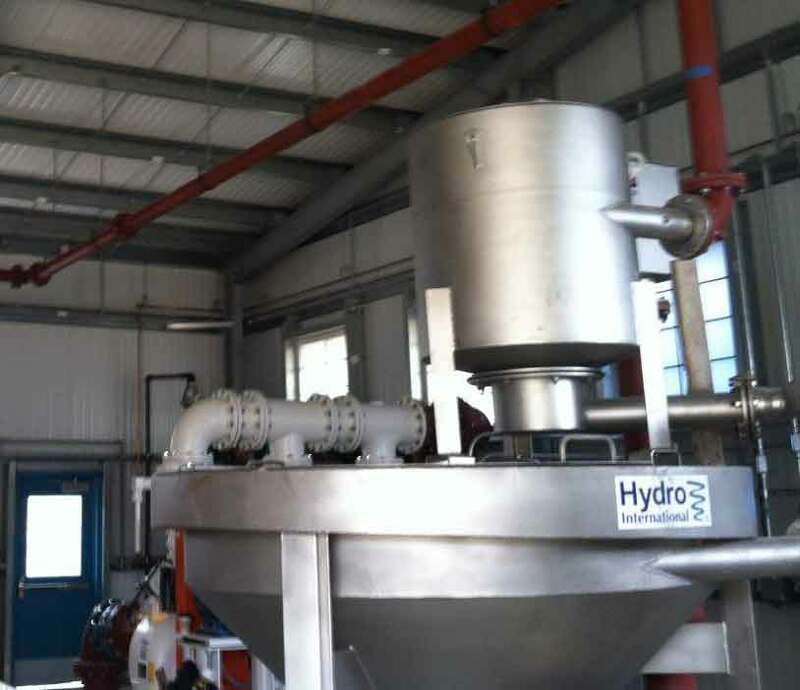 Effectively separating and classifying 95% of all particles 106 micron and larger and 75% of 75-106 micron particles without the need for washwater, it provides effective, affordable grit washing and classification that is ideal for smaller plants with peak flows of up to 10 MGD. A fully enclosed system with no power requirements, no moving parts and no washwater requirements, the GritCup® is a low-maintenance, economical, operator-friendly grit washing solution. 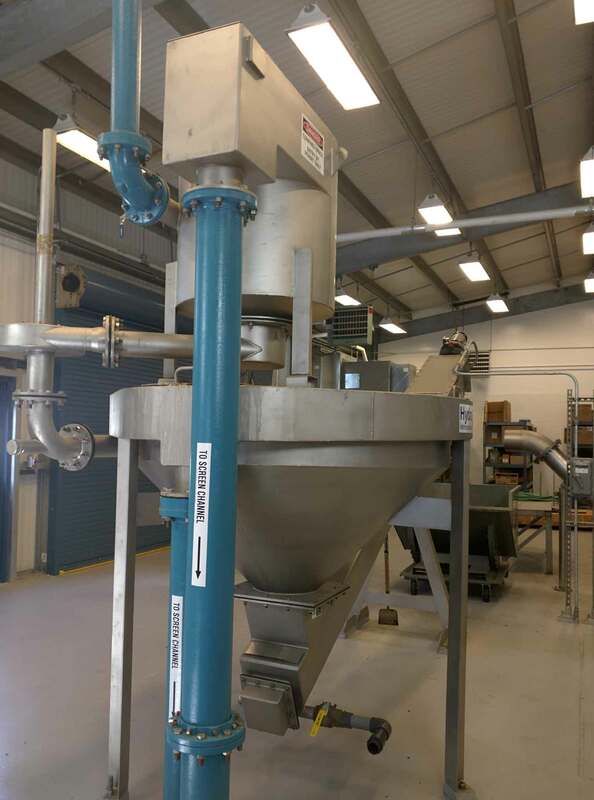 Designed to address flows of up to 10 MGD peak, the GritCup® has been optimized for use at smaller plants - meaning that it is able to provide effective, economical grit washing, separation and classification while maintaining the high performance that wastewater treatment plant operators need. The fully enclosed GritCup® system has no moving parts and no power requirements, and features removable access hatches and maximized internal clearances, making infrequent maintenance tasks quick and easy. The system can run fully automatically, requiring virtually no operator input or in-field adjustment, and the system is optimized for intermittent operation - meaning that you save money by only operating it when you need it. Replacement parts can rapidly erode a plant's operating budget. The GritCup® is a single self-contained unit with no moving parts, meaning that wear and expensive replacement parts are not a factor. Flow enters the GritCup® tangentially, creating a vortex flow pattern. The GritCup® uses a combination of vortex principles to achieve removal and washing performance while maintaining a low headloss. The GritCup® unit uses accelerated gravity to create a separation zone in which organics are removed from the heavier grit. Grit is retained while the organics are stripped away and exit with the degritted effluent. The degritted overflow and organic particles exit at the top of the vessel to be conveyed back into the wastewater stream. All of the collected solids are constantly discharged from the grit pot as concentrated slurry via the tangential underflow pipe. A Hydro-Brake® flow control device is located on the underflow pipe to regulate the volume of slurry exiting the GritCup®. 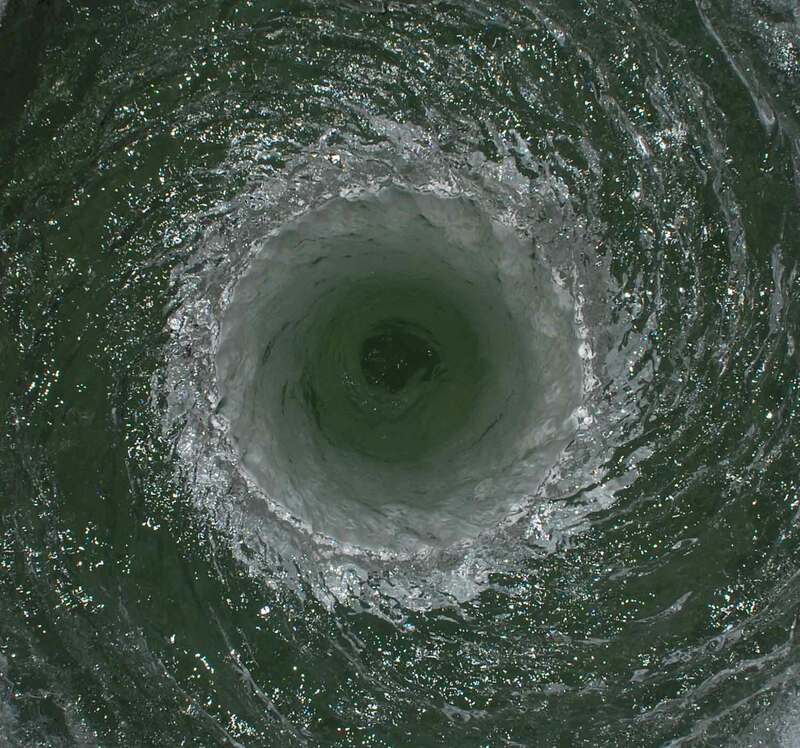 The flow control uses a tangential inlet to create a vortex with an air core in the center that effectively limits the discharge through the centrally located outlet. This allows metered underflow from the GritCup® without the restriction of a small orifice or pipe run and prevents the associated risk of plugging. A.No. The GritCup® has been designed to prevent washout during startup, which allows for intermittent operation that can save on energy cost and wear to grit pumps. A.No. The GritCup® is an all-hydraulic system and requires no electricity to operate. A.Yes, three quarter inch or finer headworks screening is required before the GritCup®. A.The GritCup® is a washing unit, so a grit dewatering unit is required in order to provide a complete grit washing and dewatering system. The GritCup® is typically paired with a SpiraSnail® dewatering unit. Learn how a SpiraSnail® system cost effectively dewaters wastewater grit.